Bajaj XCD 125 DTS-Si is a bike is one of the best sellers with sharp and handsome look. Explore the review to get the features, technical specifications & price in India. The Bajaj XCD 125 DTS-Si has set a benchmark in an effort to become one of the best selling bikes in the 125cc segment. Since its launch in 2007, it seems to have overtaken all the 125cc bikes. Around 40% of the motorcycle market is constituted by the 125cc segment and XCD alone contributes 13%. Mr. Amit Nandi, General Manager, Bajaj Auto said, "60% of Bajaj XCD 125 DTS-Si customers were erstwhile 100 cc customers who felt compelled to choose the XCD 125 over other 100cc products due to its obvious superiority on performance, features and fuel economy on the one hand and the sporty, youthful image of the Bajaj Brand on the other". The XCD was introduced as an extended version of 100cc bikes with improved power and features. It comes in two options of electric start and kick start. Powered by the latest DTS-Si technology, Bajaj promises to offer the maximum power of 10.85 Nm @ 5000 rpm and a wonderful mileage of 109 kmpl. The bike pulls smoothly through the gears and is comfortable to go around in top gear. The engine is relatively smooth and avoids vibrations though still needed to be improved when compared with the peers. 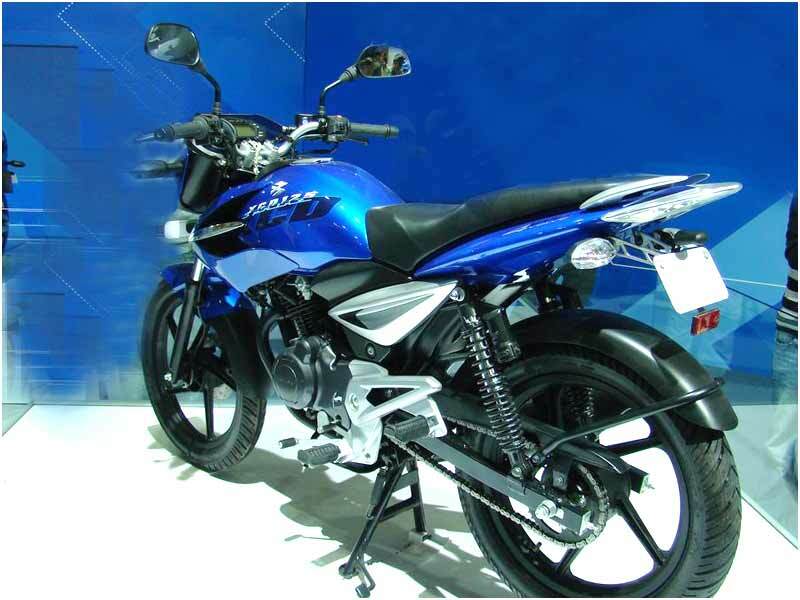 The XCD 125cc looks quite eye-catching and it is in line with other bikes of Bajaj. The Headlamp, Side-Panels, Tail Lamps are all sourced from Pulsar and Discover. The built quality is up to the standard. It also comes with a self starter. It also features Digital Speedometer and the switches are the best in this segment. Push to cancel turn indicator switch is present along with the high bean flasher and the Ride Control switch. With all these unique features further added by chain cover with built-in noise-damping system, full DC electrical system for quick and easy start and the new concept of folding front plate number, the XCD looks sharp and handsome. 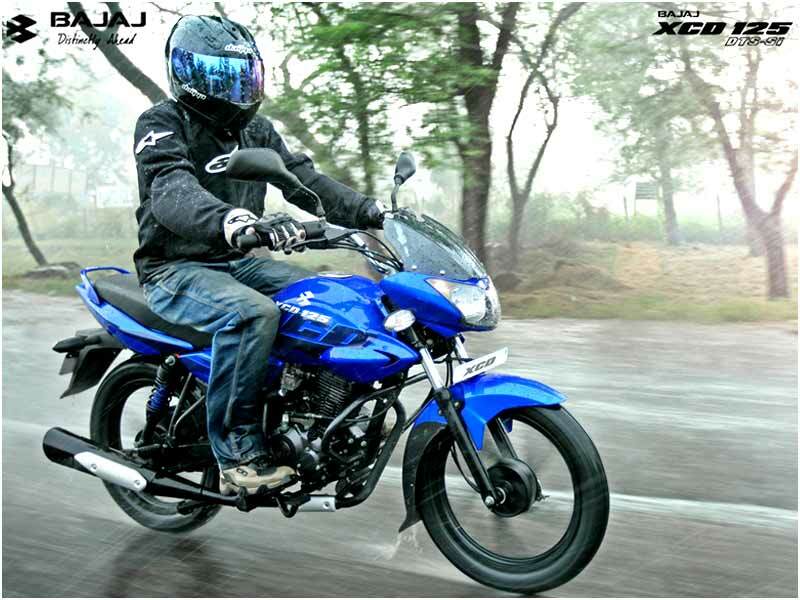 The ride quality of XCD 125 is very good and we can have the feel of a bigger bike while riding. It has almost become a good service of Bajaj to offer the best ride quality among Indian bikes. The Pulsars have already been named for the best ride quality in the country followed by the Discover 135 and now the XCD. In the actual city conditions, it runs on around 70 km per liter and thus it has been named among the most fuel efficient motorcycles in India. In short, XCD is a good package that comes with the satisfying ride quality, good handling, powerful pick up and the better fuel economy. Bajaj XCD 125 is amongst the best selling bikes from the house of Bajaj Motors. Fuel effcient engine is an important reason for its market place as it delivers a mileage of 65-68 kmpl. 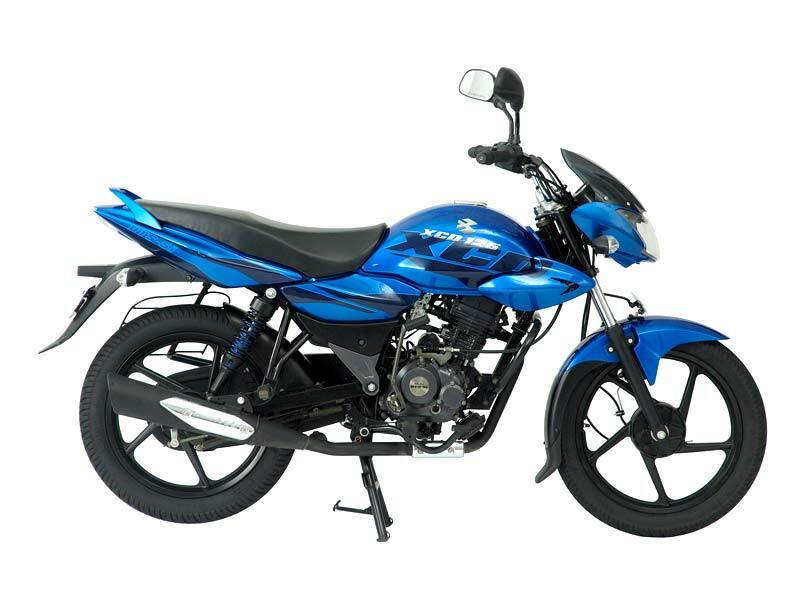 The available colors of Bajaj XCD 125 DTS-Si are Blue, Black, Red and Silver.